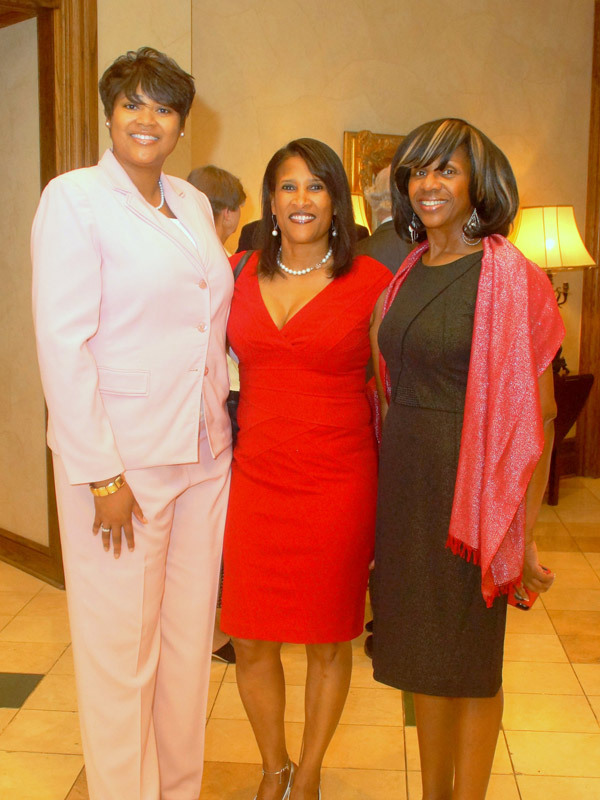 Paulette Brown, President-Elect of the American Bar Association, delivered the keynote address at the Capital Area Bar Association's Evening Honoring the Judiciary on Tuesday, May 5, 2015. CABA President, Amanda Green Alexander, described the evening as, "one of our culminating events … It is an opportunity to honor our judiciary and members of the Bar who have maintained a commitment to the bar, the bench and beyond." Much of CABA's focus this year has emphasized the importance of recognizing and appreciating differences. The organization hosted many educational program that addressed communications across generation lines, tackling gender and implicit biases, and effective communications in and out of the court. 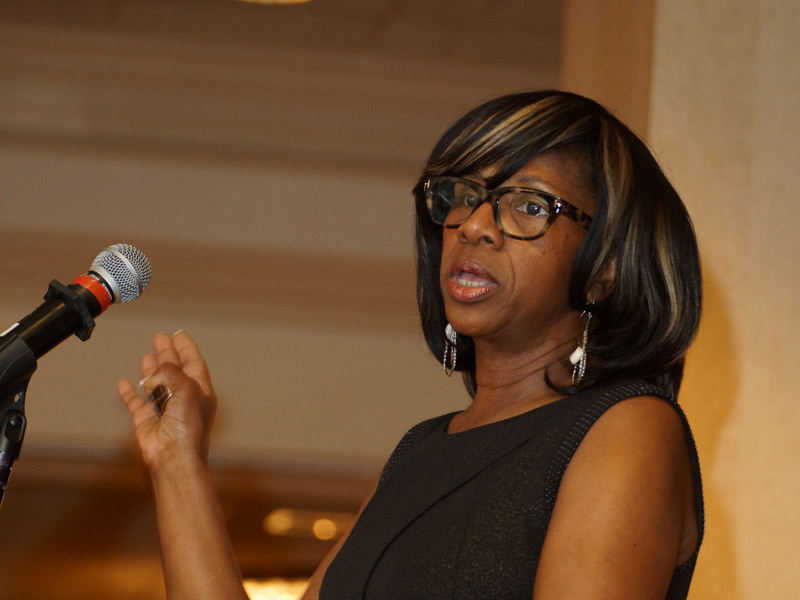 Ms. Brown's invitation to serve as the keynote speaker for CABA's Evening Honoring the Judiciary continued the emphasis on recognizing and appreciating differences. Paulette Brown is the President-Elect of the American Bar Association. She is a partner with the labor and employment division of Locke Lord Edwards, where she also serves as the firm's chief diversity officer. Prior to joining Locke Lord Edwards, Brown was in-house counsel to a number of Fortune 500 companies and also served as a municipal court judge. In private practice, she has focused on all facets of labor and employment and commercial litigation. Brown has been named as a New Jersey Super Lawyer and by US News as one of the Best Lawyers in America in the area of commercial litigation. She received the Spirit of Excellence Award from the ABA Commission on Racial and Ethnic Diversity in the Profession, and she was honored with the Margaret Brent Women Lawyers of Achievement Award by the ABA Commission on Women in the Profession. Brown earned her J.D. at Seton Hall University School of Law and her B.A. at Howard University. Amanda Green Alexander used Ms. Brown's ties to Mississippi when extending CABA's invitation. Brown immediately made her connection to Mississippi, noting that she had not returned to Mississippi since her son's graduation from Piney Woods School in Piney Woods, Mississippi in 2003. During her visit to Mississippi, President Brown also met with local and state bar leaders and Deans at the two Mississippi law schools. "It is a great honor to have the President-Elect to participate in our marquee event, and it is a personal privilege to welcome her to Mississippi," said Alexander. Given the overwhelmingly positive response to Ms. Brown's remarks at the Evening Honoring the Judiciary, CABA hopes that this will not be her last visit to Mississippi.